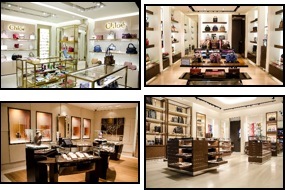 BCC worked closely with the Prime Architect, Brand Merchandisers, Millwork suppliers and designated Lotte representatives to purchase and coordinate shipping, arrival clearance, warehousing and delivery of Millwork, store and brand fixtures including all “OFCI items in advance of each boutique construction. As documents for each Brand Store became available BCC priced and contracted for the individual boutique store as part of the program agreement between Lotte and each “Brand” store. Black Construction Corporation was the prime contractor for each boutique tenant fit-out including installation of all millwork, fixtures and furnishings and equipment. BCC was instrumental in coordination and implementation of Land Lord furnished Mechanical and Electrical components as provided for each boutique. Significant problems experienced on this project? Black Construction Corporation contracted with Lotte Duty Free to perform tenant improvement work in accordance with the Project(s) design for 9 (nine) individual “Brand” boutique stores at the Guam International Airport Authority concourse (departure) level. E-mail, documents and drawings that were many times superseded and outdated with regard to construction and the most current information. BCC, on behalf of Lot te purchased the millwork, fixtures and finish materials for all OFCI (Owner Furnished Contractor Installed) Materials. Nearly all of these materials were purchased up front by BCC via wire transfer to ensure manufacture was synchronous with the construction schedule. Purchasing and Coordination for nine different stores and multiple vendors per store required BCC to amalgamate efforts through accounting, warehousing, logistics and engineering to a much greater extent beyond the prime contractor’s role. Many of these stores were in design, procurement and construction concurrently with completion dates culminating within days of each other. In many cases the entire millwork package was shipped via airfreight to meet schedule completion dates. Logistics presented challenges associated with both schedule and airport access. The short schedule durations required air freight of most finish materials not locally available. Materials were landed, cleared and received at BCC’s warehouse in preparation for coordination and delivery to the GIAA loading docks. Delivery and navigation to the concourse level and each individual boutique required precise coordination with Vendors, Merchandisers, Lotte and airport operations for delivery and use of service elevators. BCC worked closely with each project team to communicate efforts on each store at every phase of the project to completion. BCC’s expertise in the areas of purchasing, logistics, scheduling, and project management served this most difficult series of multiple project coordination well. Each project was scheduled to completion utilizing primavera’s P-6 to integrate each project schedule into an overall project schedule for the entire scope of work including the Main Contract work. This allowed the Owner to gain a high level overview of all work at each phase as well as individual areas of work such as the “Brand” Stores.